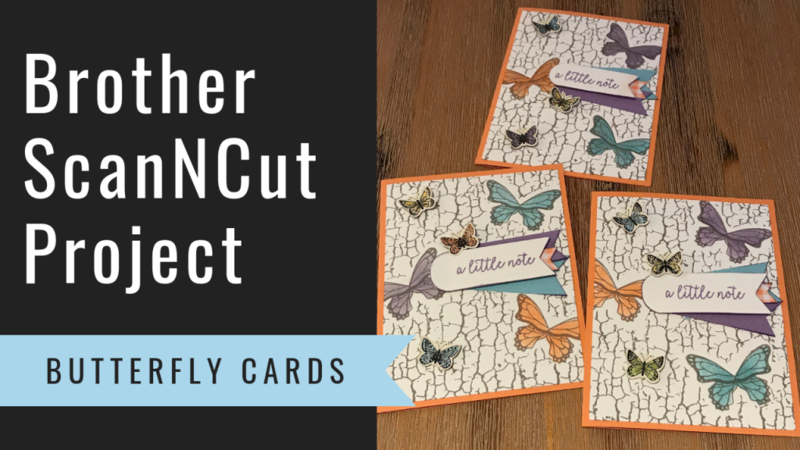 Learn how to create these Butterfly Cards using your Brother ScanNCut. 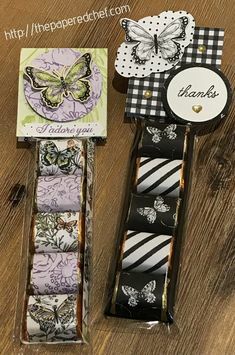 These cards feature the Butterfly Gala stamp by Stampin’ Up! All of the steps needed to create these cards are taught in this video based course on SkillShare. Learn how to cut out shapes for your background mats, a mask used for stamping, and how to cut out patterned paper using your Brother Scan and Cut. Small butterflies from the Botanical Butterfly designer series paper is used to embellish the cards. The model used for this class is the CM350 or ScanNCut 2. Other models and materials can be used to create cards using the techniques you learn. Try SkillShare for 2 months free! 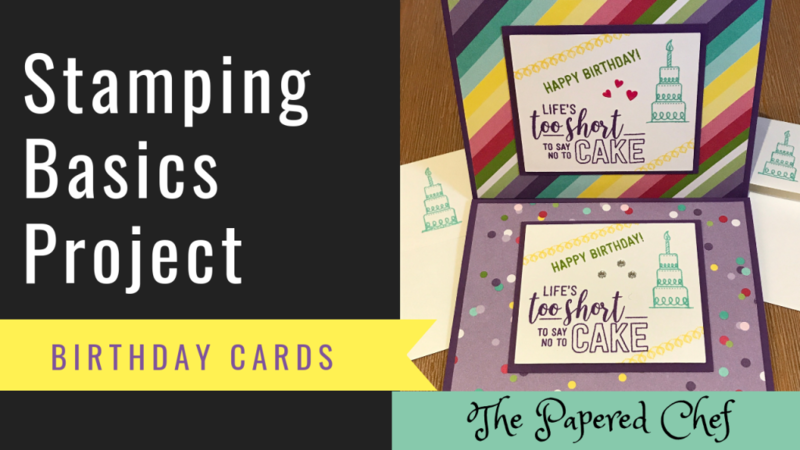 In this class, you will learn how to create a hand-stamped birthday card using simple stamping techniques. We will use card stock, designer series paper and several colors of ink to create birthday cards. 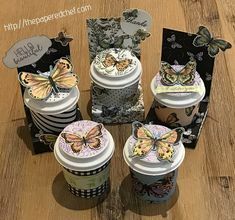 The process will be outlined step-by-step and you will have a chance to practice your skills with materials you already have in your craft stash. Try SkillShare for 2 months free! 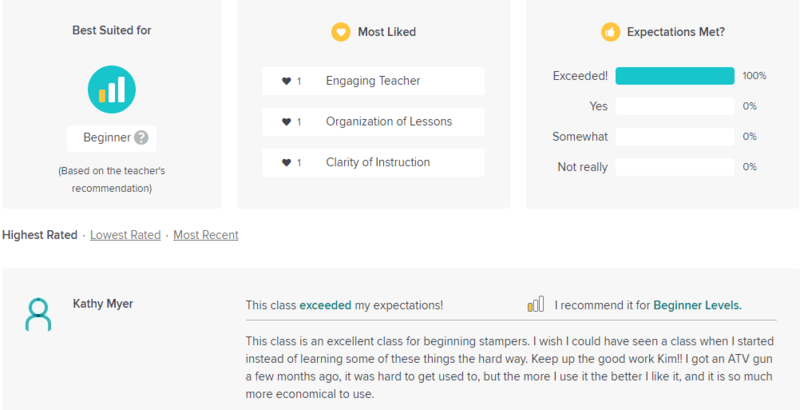 Sharing my first student review on SkillShare! 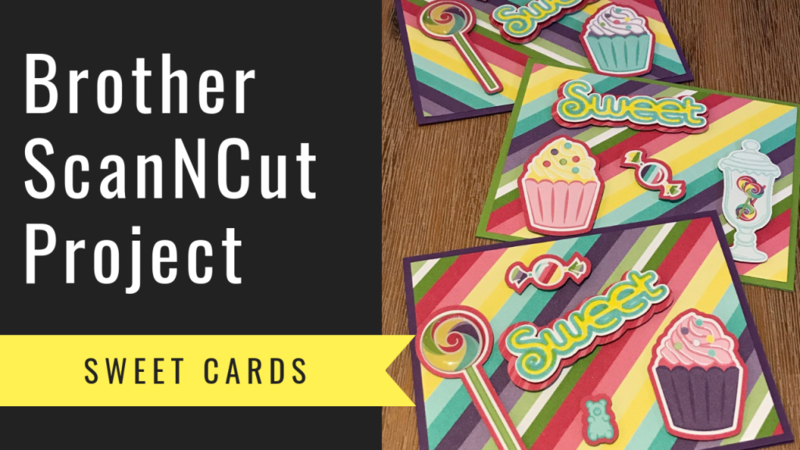 Learn how to create these Sweet Cards using your Brother ScanNCut. The cards feature the How Sweet It Is designer series paper by Stampin’ Up! All of the steps needed to create these cards are taught in this video based course on SkillShare. Learn how to cut out shapes, draw sentiments and cut out patterned paper using your Brother Scan and Cut. The model used for this class is the CM350 or ScanNCut 2. Other models and materials can be used to create cards using the techniques you learn. Try SkillShare for 2 months free! 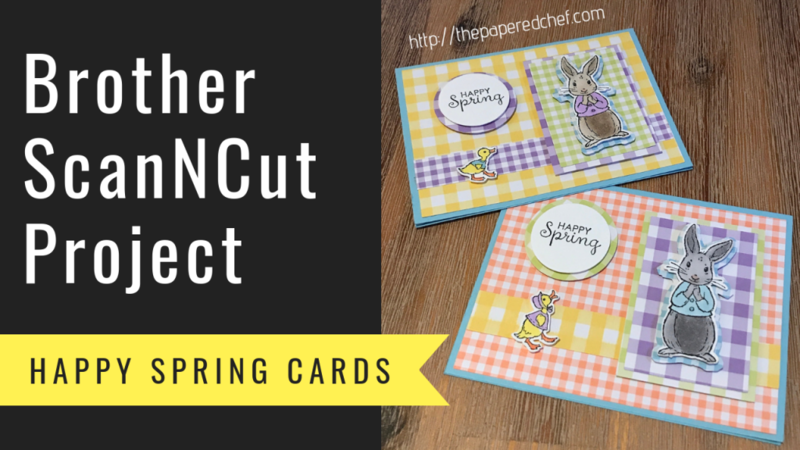 Learn how to create these Happy Spring Cards using your Brother ScanNCut. These cards feature the Fable Friends stamp by Stampin’ Up! All of the steps needed to create these cards are taught in this video based course on SkillShare. Learn how to cut out built in shapes and patterns and how to cut out stamped images using your Brother Scan and Cut. The model used for this class is the CM350 or ScanNCut 2. Other models and materials can be used to create cards using the techniques you learn. Try SkillShare for 2 months free! 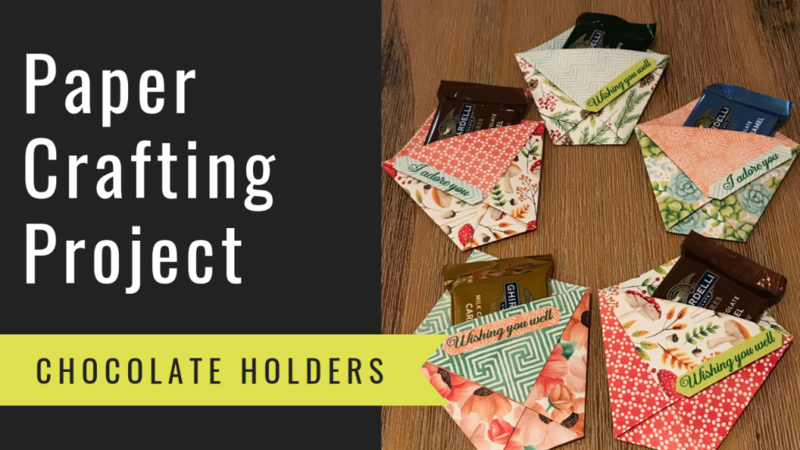 In this class, you will learn how to cut, fold and embellish Chocolate Holders. The holder will fit a Ghirardelli Chocolate, small note card or other treat. This is an easy paper crafting class on SkillShare which can be completed with materials you easily obtain. A full list of materials will be provided. 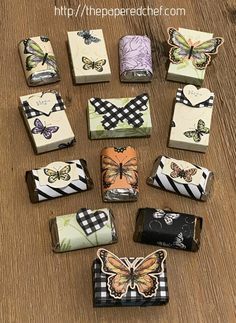 You can substitute any double-sided paper, stamps, and ink you already have to personalize your chocolate holders. You can use the skills you acquire in this class to create pouches or envelopes of various sizes. Try SkillShare for 2 months free! 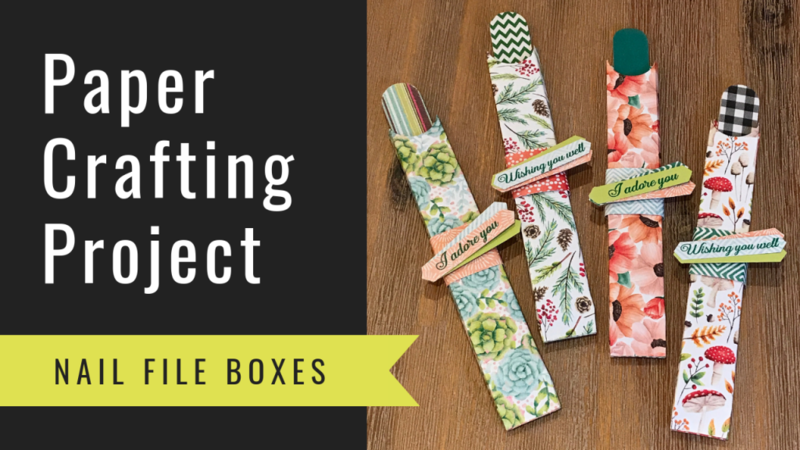 In this class, you will learn how to cut, fold and embellish Nail File Boxes. Each box holds a salon style nail file. These make great gifts, stocking stuffers, party favors and treats for a spa day. In this course, we use the Painted Autumn designer series paper by Stampin’ Up! and A full list of materials will be provided. You can substitute any double-sided paper, stamps, punches, and ink you already have to personalize your nail file boxes. You can use the skills you acquire in this class to create pouches or envelopes of various sizes. Try SkillShare for 2 months free.